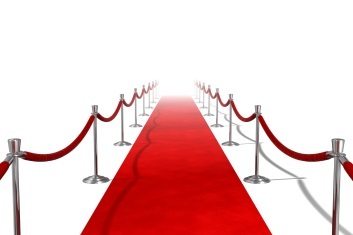 Roll Out the Red Carpet…Celebrate your Volunteers! April 12-18th is National Volunteer Week – the Oscars of the non-profit world – where organizations across Canada “recognize, celebrate and thank Canadian volunteers”. There is no question that volunteers are the backbone of High Performance Member OrganizationsTM. They are a vital human resource and major contributor to its overall success by providing leadership and strategic direction; key subject matter and sector expertise; and hands on delivery of programs and initiatives. Working with volunteers falls under Human Resource Management –one of the eight pillars of a High Performance Organization (HPOTM). Ensure that your volunteers understand the organization’s value statement, that way they can “self-align” with the goals of your organization. As you read the first 3 points below reflect on how a clear value statement would help in each section. Create a volunteer-friendly culture that values the time and commitment offered. Remember that volunteers are members – not employees – of the organization and they have additional commitment and responsibilities outside of your organization. Communicate clearly the organization’s commitment to volunteers. Be prepared before seeking volunteer assistance to optimise their time. Create a trusting, inclusive and respectful environment. Volunteers who understand what is expected will do a better job and feel successful. Develop clearly stated policies and procedures that articulate the organization’s rules, processes and expectations. Write volunteer job descriptions that identify required roles, key competencies and time requirements. Terms of reference should be reasonable with manageable workloads and provide diverse opportunities for both skill and commitments. Develop effective screening processes to ensure you have the right volunteer for the job. Provide training and orientation sessions with support materials that highlight how the organization operates and why and how the volunteer efforts support its success. Provide accessible ongoing support, direction, encouragement and on-going two-way communication. Recognize that people volunteer for a variety of reasons, e.g., giving back to the community; professional and personal networking; having an impact; sharing or gaining skills; recognition, etc. Provide frequent and personal recognition on an ongoing, informal, genuine and supportive way. Ensure the communication lines are open and use every opportunity to express your thanks. Consider special events, public awards or recognition for key volunteers. Volunteer Appreciation Week is an opportunity for organizations to examine how they work with volunteers and consider ways to further strengthen this valuable relationship. So, roll out the red carpet and celebrate these “unsung heroes”!